We are scheduling tours for the 2019-20 school year. To schedule a tour click on the link above or call us at 978-462-2441. We look forward to meeting you and your child. A private preschool striving to educate, empower and encourage children in the Northshore area. The school was first established in the 1960s; our philosophy is time tested and parent approved. A low student to teacher ratio allows our staff to have individual interactions with each student. We have three age groups for children 2.9-5 years old. This enables a child to socialize with children of their approximate age. "THE MORE THAT YOU READ, THE MORE THINGS YOU WILL KNOW. THE MORE THAT YOU LEARN, THE MORE PLACES YOU WILL GO!" At MMNS, we believe the early childhood years are a pivotal time in a child's life. It is a time for learning and exploring the world around them. We offer a learning environment that supports children to develop new skills in a warm and safe way. Being a traditional preschool, a great deal of emphasis is placed on a child's social, emotional and cognitive development. Our three age based groups participate in developmentally appropriate activities throughout the day and certain opportunities are provided for all age groups to interact. We teach the basic fundamentals of learning which encompass the development of the “whole” child; their emotional and social awareness as well as the building and reinforcement of cognitive skills. Our teachers provide a welcoming inclusive atmosphere to ensure that each child attending our preschool feels that school is a warm, friendly and comfortable place to learn. Each child is greeted in the morning with a smile. Emphasis is placed on making your child feel relaxed with their teachers through individual conversations throughout the day. Our rooms are designed to encourage children to interact freely with others and to play cooperatively. A good portion of our day is spent fostering children social and emotional development through verbal expressions of thoughts and feelings and to promote acceptable ways of expressing their feelings. We promote the growth of independence by helping children accomplish self-reliant tasks, such as toileting needs, putting on and zippering their coats, setting up and cleaning their snacks. Our curriculum builds a foundation for learning language arts, reading & literature, mathematics, science, history and enhance creativity through age appropriate, hands on, open ended and teacher directed activities. Our indoor gym provides a great opportunity for our children to develop their gross motor skills on a daily basis. In an ever changing world, learning about diversity is important. We encourage parents from different cultures to come in and share with our children where they are from. We read multi-cultural stories and celebrate many different holidays. To promote a sense of belonging to a community we go on local field trips, participate in charitable activities and encourage parents and community members to come visit with our classes. Our goal for your child is to leave our classrooms with the ability to make new friends, have respect for oneself and others, and to have the love of learning. Throughout the year we plan fun events at the school and go on field trips in the local area. "Both of our children have attended Mrs. Murray's, and we highly recommend this nursery school. The sense of community that the teachers build here is phenomenal. The teachers at Mrs. Murray's understand this age group's developmental needs and establish nurturing and supportive classroom environments. The school does an excellent job of balancing instruction in life skills, social skills, and academic skills. Teachers at Mrs. Murray's understand the value and importance of play for children and allow ample time for children to do so. Both of our children have returned home each day from school feeling confident, successful, and happy. With established roots in the community, Mrs. Murray's has built a reputation for being a safe, welcoming and cherished experience for students and their families. Our son was completely prepared for Kindergarten, and we thank Mrs. Murray's for playing such an instrumental role in his development. " "My daughter loves it here! I have known so many people who sent their child(ren) here over the last several years and heard nothing but great things from all! So glad we chose this school for our little girl! She loves her teachers too!" "As a retired educator myself, I recognize instruction that not only engages children, but also meets their individual needs, thereby nurturing their development. Mrs. Murray's Preschool offers that quality of instruction to their students. I have two granddaughters who have been enrolled at Mrs. Murray's and have thrived. I would like to take the time to thank the administrators, teachers, and support staff at Mrs. Murray's Preschool. 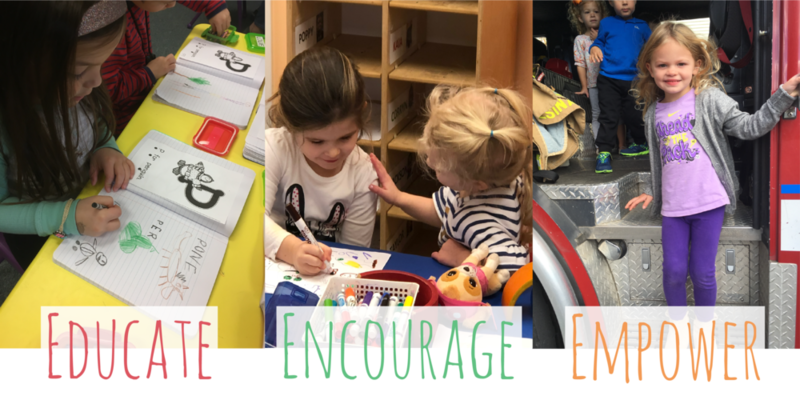 In addition to preparing children for kindergarten, each of them demonstrates the qualities that a parent would surely be looking for when leaving their children in their care; kindness, patience, respect, and a caring joyous spirit."